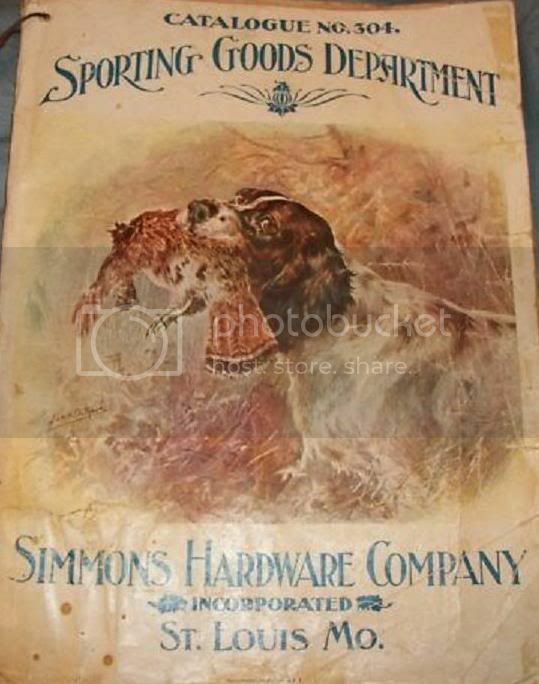 Edward Simmons founded Simmons Hardware in 1859 in St. Louis MO. and in 1874 was the first mercantile business to incorporate in the US. Their success was due largely to a strict business ethic of selling items of uncompromising quality and supplying a vast array of goods to help the customer to prosper. Their retail outlets sought to be a one stop shopping source for all consumers and their mail order catalog ran to 5000 pages. 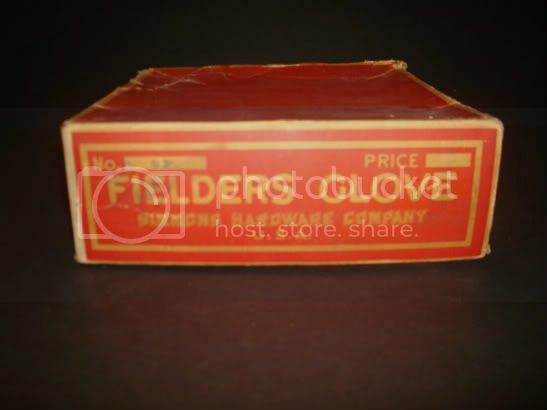 They became the largest hardware store in the world by 1910. 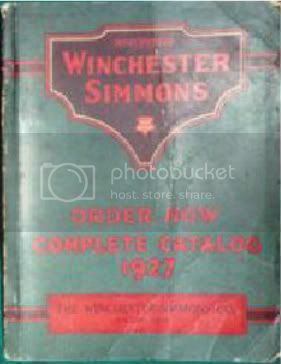 Here is a view of the Simmon's catalog dubbed "The Big Book". 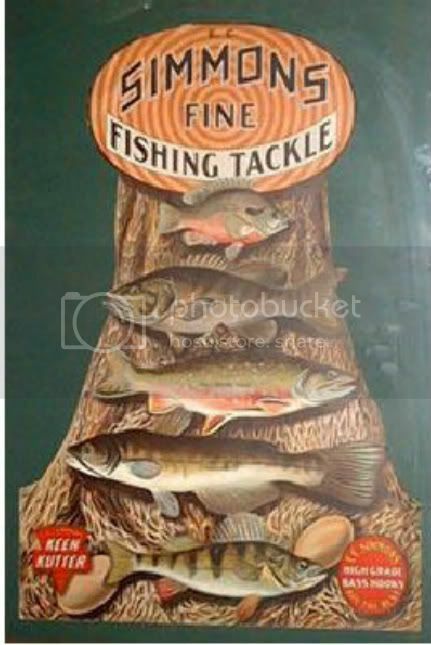 This eye catching die cut display was a common practice of Simmons to attract customers. 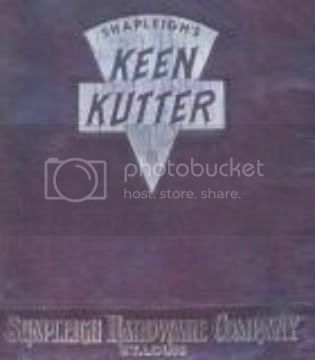 The "Keen Kutter" trademark was the flagship brand of Simmons. 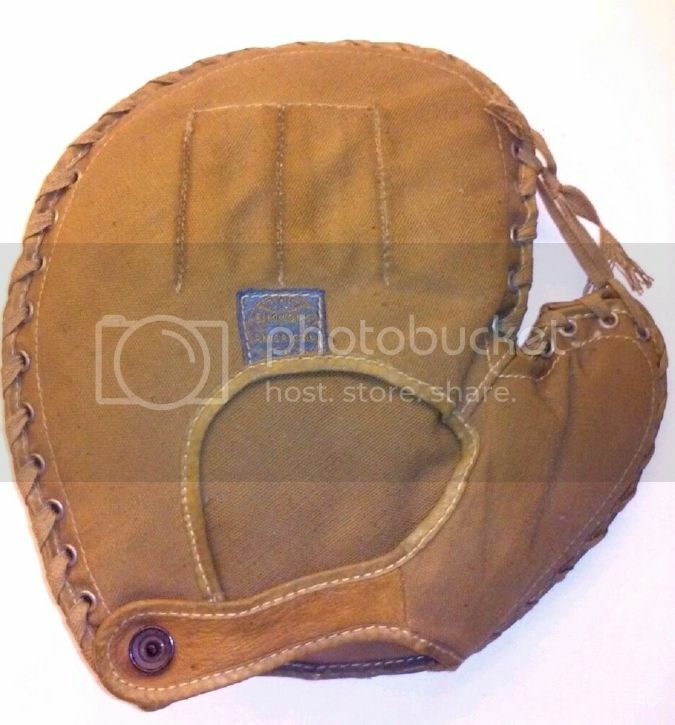 It was used on various products such as fishing gear. knives and cutlery. 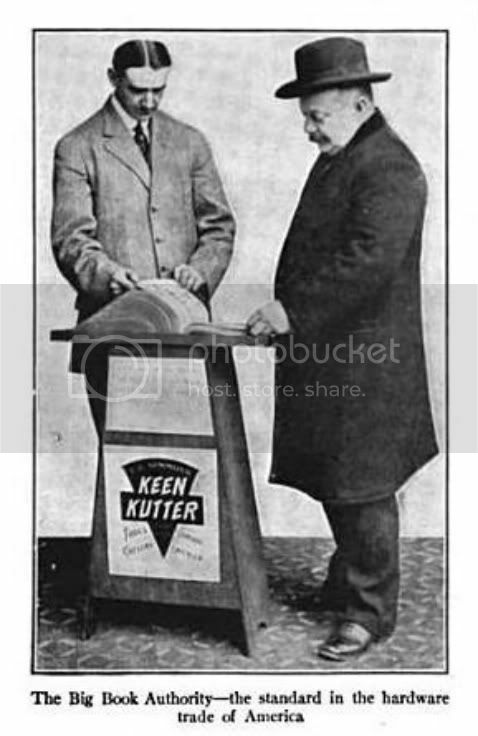 The double K's were used in other ways such as Keen Klipper lawn mowers, Karpet King sweepers, King Kord tires and Klear Krystal lamp chimneys. 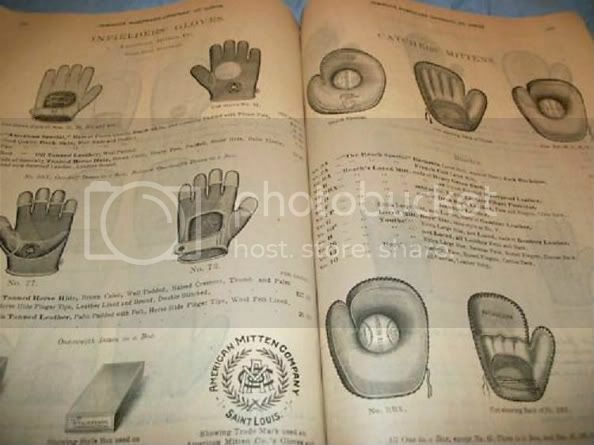 Sporting goods of course were featured in the catalog. 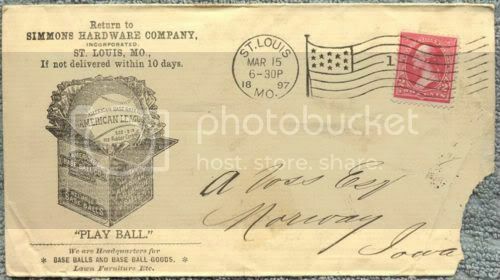 Here is an advertising postcard circa 1897 featuring baseball gear. 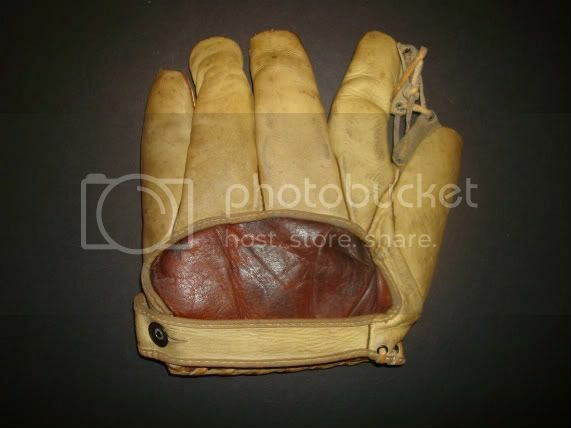 Here are a few gloves from Simmons. 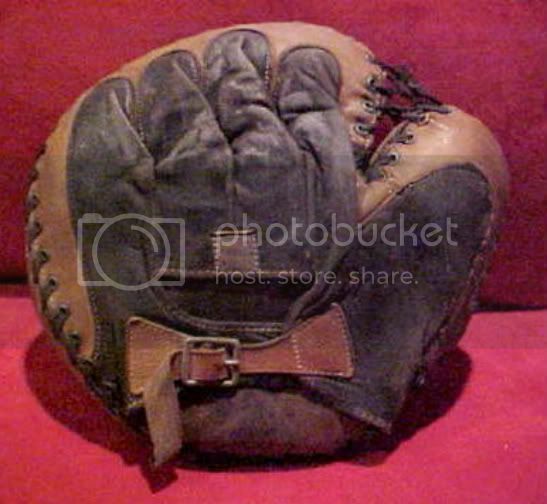 First is a vintage duck web model circa 1912. 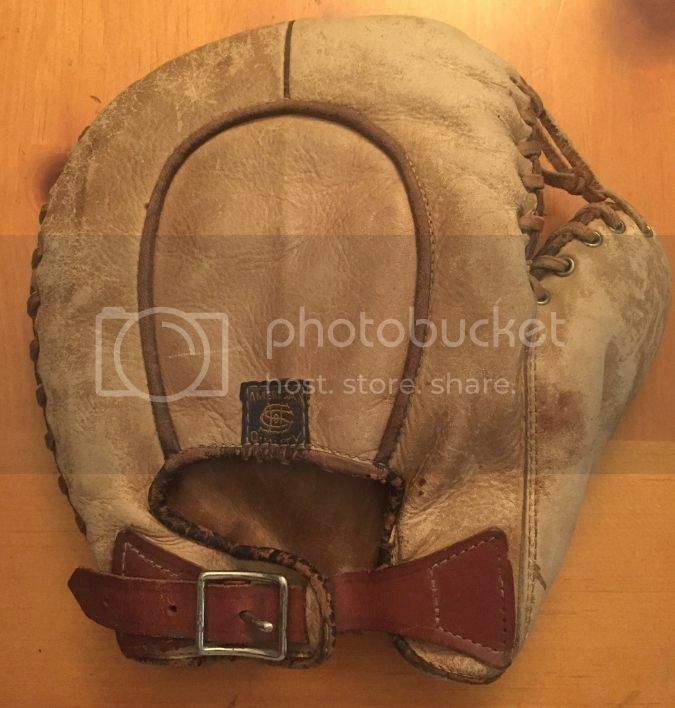 A great looking mitt recently on ebay. Joe was on the mark about Frank Bradsby. 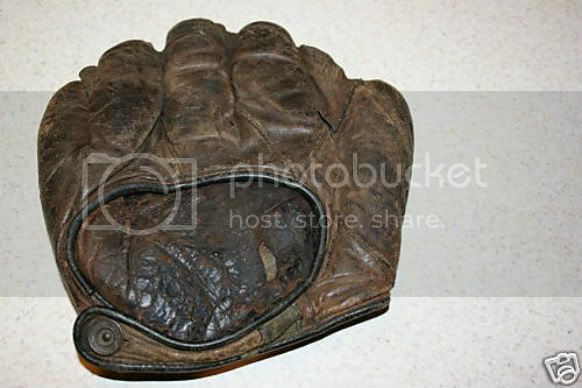 He was a salesman for Simmons Hardware and left in 1912 to work for baseball bat maker, J.F. Hillerich & Son and eventually became a partner with that company. 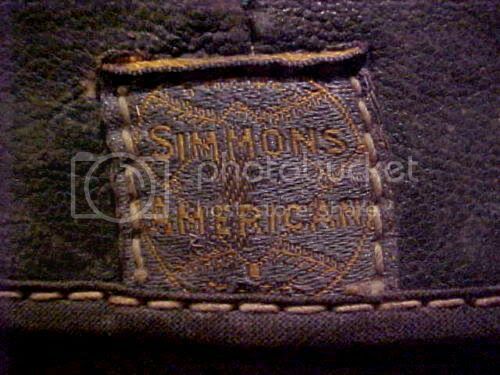 Many gloves/mitts of the Simmons Hardware Co. brand are identified by the electric blue/gold "Simmons American" cloth patch. 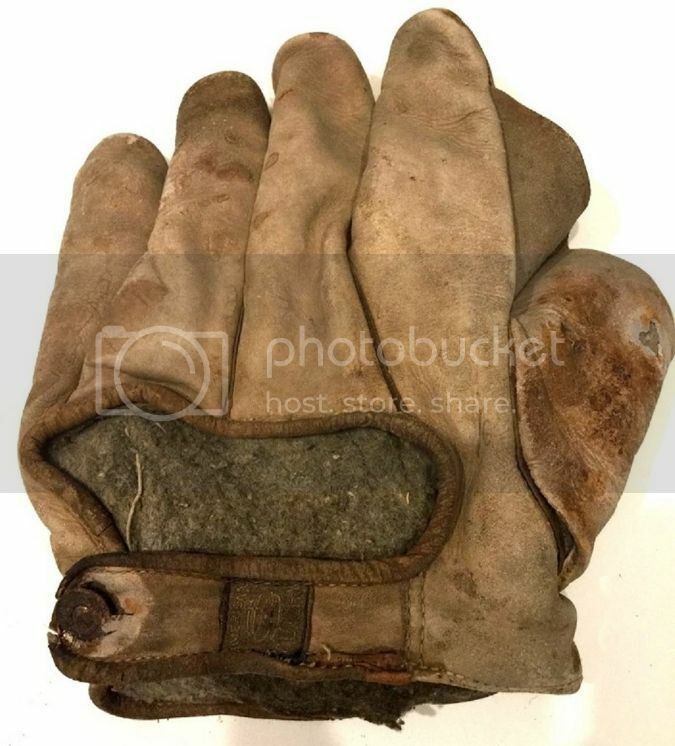 I speculated that the crescent glove below sported an early cloth patch of the Simmons Hardware Co.brand that pre dated the iconic blue/gold version. The initials are worn but seem to be SHC. 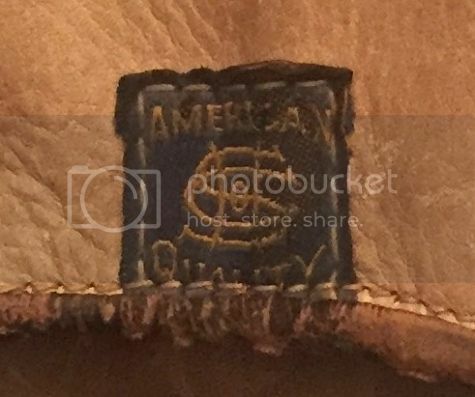 Also, "American Quality" hinted at Simmons style of advertising. 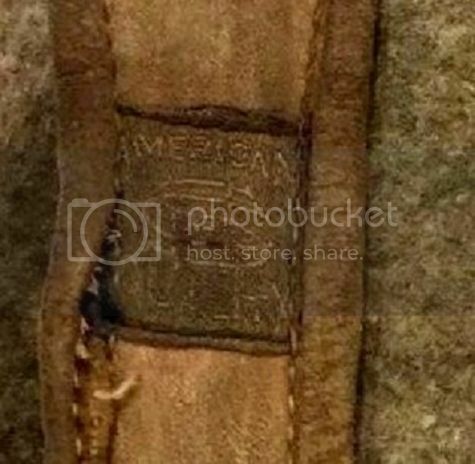 Jared Wilson sent me photos that confirmed this. 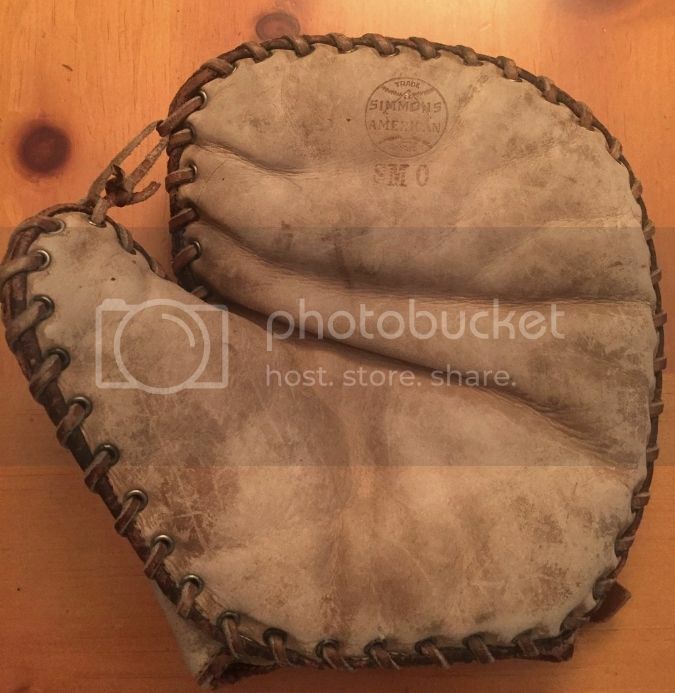 His primo base mitt has both the Simmons American logo on the face and early patch on the back.